Galicia is a charming region of North West Spain renowned for its large number of amazing beaches, rolling green hills, mountainous landscapes and arguably the best seafood in Spain. 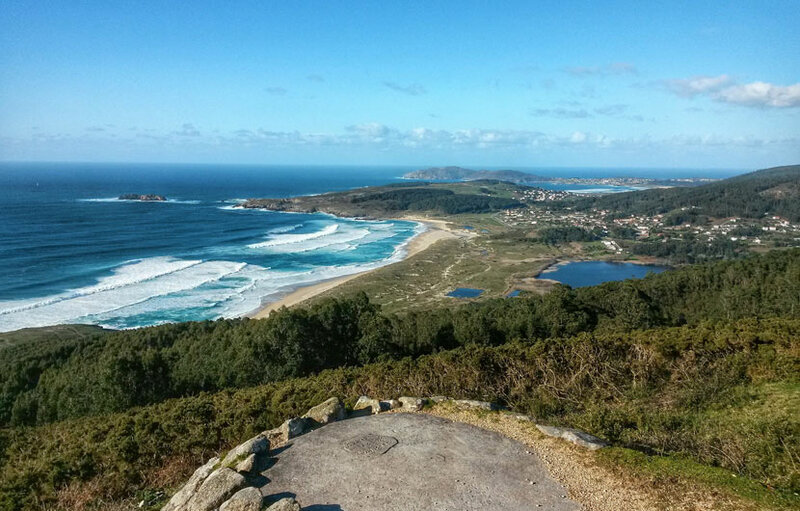 However, there is much more to Galicia than great food and beaches, venture into the region and you will be rewarded by stunning nature parks, roman buildings, amazing landscapes and unique medieval villages. Most tourists who visit Spain will probably not visit this incredibly divers region of Spain as the climate is not as holiday friendly as the more well known southern and island holiday hotspots. Visitors who have ventured into the region to explore the hidden treasures will confess to being surprised by this beautiful part of Spain. This is a must-see nature reserve for lovers of the great outdoors. It is a tremendous area of land and sea that is home to four clusters of islands whose rocky cliffs look onto the Atlantic Ocean and undisturbed beaches that face estuaries. Tourists can access the park, situated in Pontevedra, by boat and discover the beauty of amazingly conserved forests and waters. 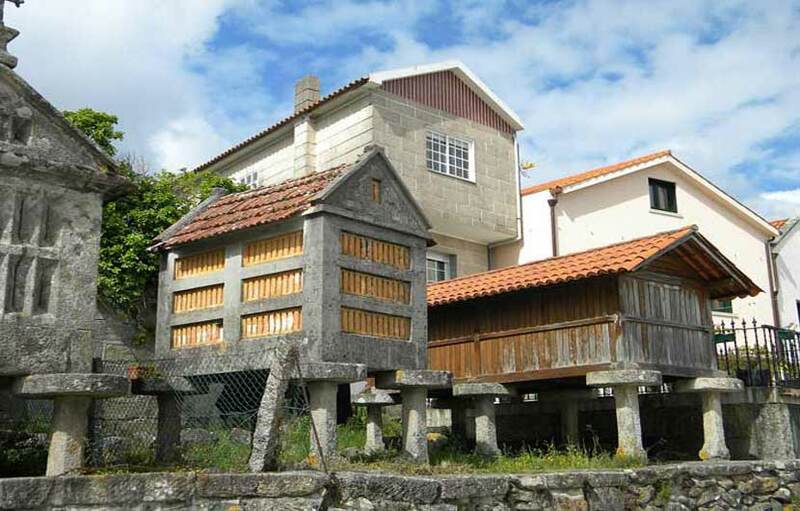 Some of the islands are home to archaeological sites and are a great way to find out more about Galicia’s history. Gaining access to the Galicia National Park can be done at certain times of the year, usually high season beginning in May. In the traditional yet modern city of La Coruna there is the famous Tower of Hercules, an ancient lighthouse built by the Romans thousands of years ago. The lighthouse is not only a beacon of lights but a symbol of strength and power as it has stood fast over time, not even surrendering to damaging weather or earthquakes. This is an impressive feat of Roman engineering that is well worth visiting when travelling to Galicia. In the city of Santiago de Compostela the cathedral stands proud and marks the final destination of the walk of pilgrims trekking the Camino de Santiago, starting in the Pyrenees, 500 miles away. Travellers can decide of course to join the route at certain points in between, depending on how far they want to walk and how much they want to see. The cathedral itself stands in an urban plaza that bustles with life and is considered one of Spain’s national treasures and well worth a visit. 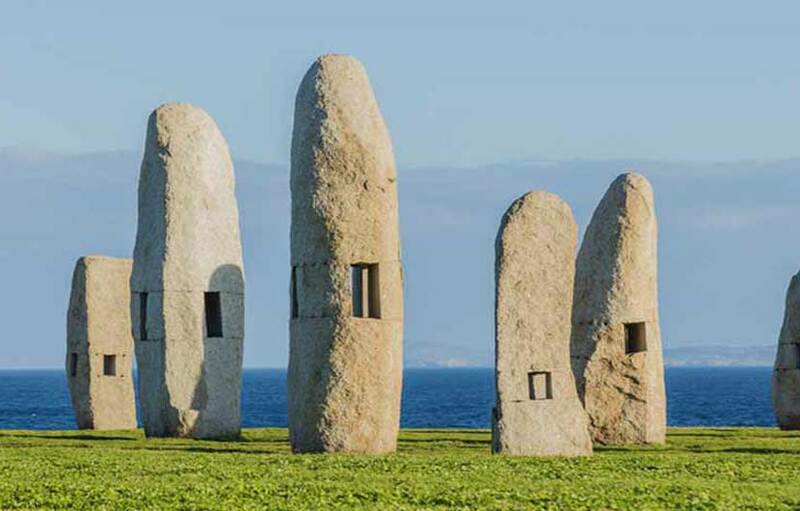 At first glance you may be forgiven in thinking that these unusual stones where created by the primitive inhabitants of Galicia in times gone by. In reality they where the brainchild of local artist Manolo Paz in 1994 who paid tribute to the Celtic people who once inhabited much of Europe, including Northern Spain. The “Menhir Spike” stones are located on the same headland as the Hercules Tower. Wine is a fundamental part of life this region and the wine routes are part of the regions historical and cultural identity. 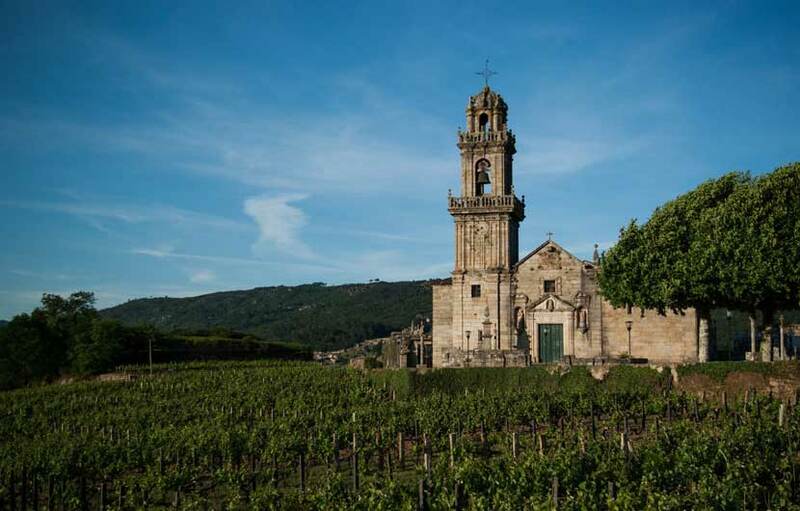 The mild temperatures and rainfall in Galicia is ideal for production of the world renowned Albarino, white and Ribeira, Red wines.There are many wine routes in the region where you can learn all about the variety of wines on offer. There are a number of companies offering wine tours and walks along with tasting sessions which is an ideal way to learn and savour wines from the region. Check out the 10 best wine wine tours on Tripadvisor. Many of the best beaches in Spain are located in the region of Galicia, constantly awarded blue flags. 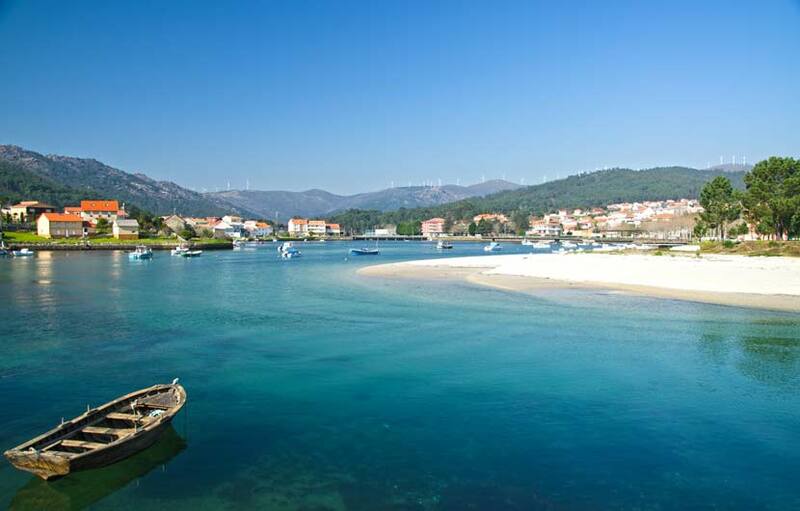 Top beaches in Galicia include the white sands of the Islas de Cies located around Saint Martin Island in Pontevedra. These islands where declared a nature park in 1980 and boast clean sands and crystalline waters make sure every outgoing visitor has a hunger to return another day. San Francisco beach is located at the mouth of the River de Muros and Noia in Galicia in North West Spain. Almost 7 kms long situated close to the town of San Francisco the beach area offers a wide range of amenities with plenty of beach-side bars, restaurants, showers, a boardwalk, parking and life guards during the busy summer season of July and August. The beach itself is made up of white sand with rocky outcrops along it’s length which split the beach up into smaller areas. The rocks are easily passed on foot so access to all the beach areas is quite easy. Galicia is a region in Spain that is bursting with little historical villages where visiting would be time very well spent indeed. Each village is uniquely set within a province of the region and getting there is convenient, by both car and bus. Located in the province of Pontevedra, Cambados is a medieval town that is famous for its spectacular white wine; Albariño. 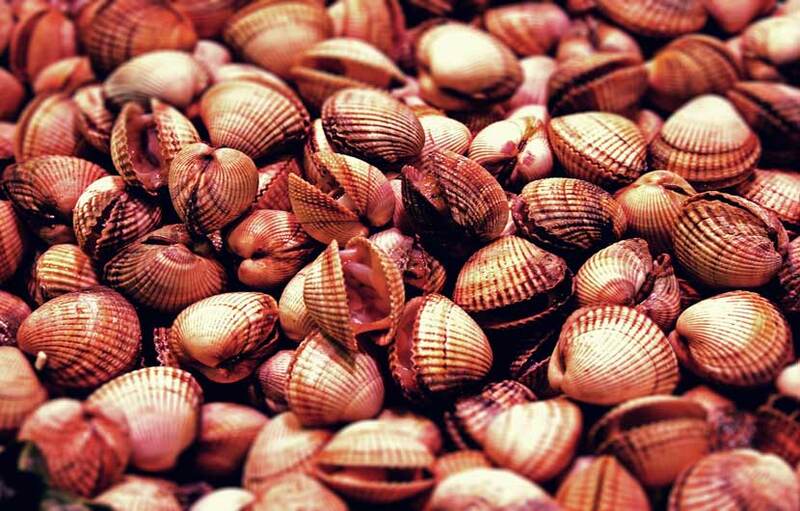 The wine is often paired with seafood, a great delicacy available in abundance in this region of Spain. The town has many attractions for tourists including monuments, ruins, a tidal mill, a church and tower. As well as its many beaches it also has a lovely river, Rio Umia, bordering the edge of the town. This is a medieval rocky coastal town situated in the province of La Coruña. It is an ancient port and the fishing industry is still alive here. 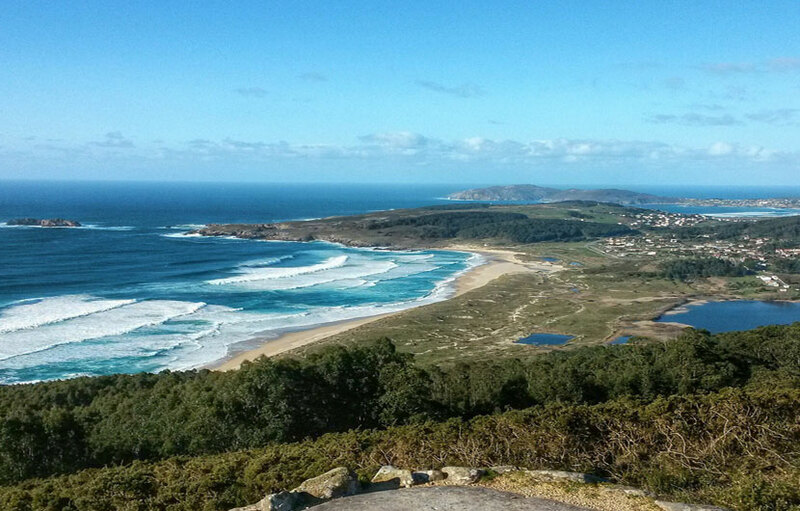 It is one of the most western and remotest parts of Galicia, and in fact, Spain. It´s a place that is worth a visit due solely to the spectacular lighthouse that faces the Atlantic Ocean. The history of this land is deeply rooted in the substantial amount of shipwrecks that took place on its shores. This is a beautiful market town very near La Coruña, famous also for its farming activity. It´s a great beach place, complete with amazing views from hills and a river running through it. On another side is the port which also has fantastic viewpoints. It’s also a great place for walking as behind the coast are lush green forests and pathways. A tiny little fishing village located in the province of Pontevedra, looking right out onto the eastuary and Atlantic Ocean. There are chapels to visit and views to experience all over the place. The water is beautiful and the walks around the area to get to the impressive coastline are magnificent. There are many little beaches scattered all along the coastline, each one is different yet captivating in its own way. A small tourist town which is about a 40-minute drive south from the province of Pontevedra. The town has a lot of history and has been officially recognised as a historic site. Interestingly, it was the first port to receive news of Christopher Columbus´ discovery of America, which of course is still celebrated every year. Aside from checking out the history there are other places of interest in this town. Museums and spectacular views make up the beauty of Baiona so well worth visiting. Galicia, with its claimed ‘Celtic’ influence, has different kinds of ‘fiestas’ to those in the rest of Spain. There are over 4,000 held every year, and needless to say one could find a party somewhere every weekend of the year. Each festival has a different origin and purpose; some to savour the wine and food of the region and others to mark historical dates or the sales of local products and handcrafted items, or even just an excuse for a day off work. A festival may be held in a certain city or village of Galicia. The festivals in the city are usually jam- packed full of people and marching bands playing lots of different instruments where music and atmosphere can be enjoyed to its fullest.The good thing is that celebrations are limited to a weekend and midweek is usually a quieter and laid back time to relax before the next party starts. Holy week is celebrated heavily in Spain, not least in Galicia. During this week, almost every Galician town and village holds street processions that display parades of religious icons. Each one of these are lifelike sculptures telling the story of the Virgin Mary and Jesus to the rhythm of drum bands. The grandest festival in all of Galicia is that of Apóstolo Santiago, which is celebrated as Galicia´s national day. This is held on July 25th every year where the people spill into the cities’ streets for parades and fireworks. It’s a great party atmosphere where the people get really involved and anyone is welcome to celebrate. The party is actually a week-long and is a must-see for keen visitors of Galicia. Galicia is probably one of the most food-oriented places in the world hence their celebrations centre a lot on just that. 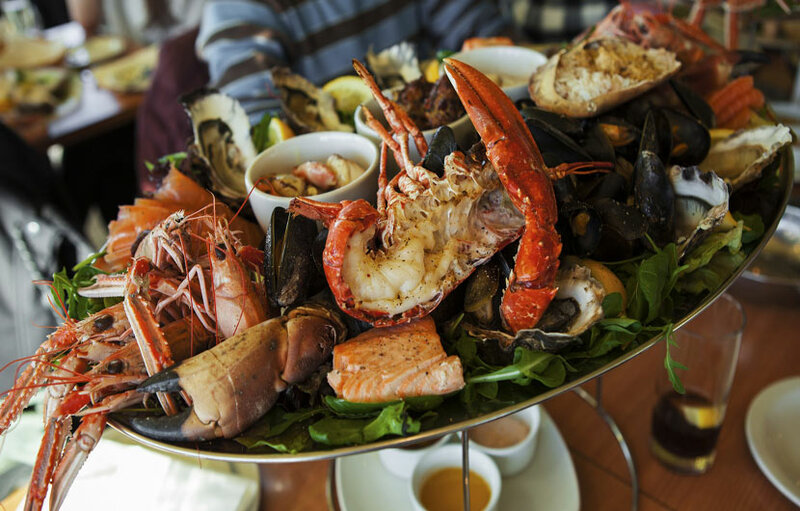 Gastronomy features prominently in this region of Spain and the people of Galicia love their fish and seafood so much that there are several festivals to honour such an important part of the regions heritage.